A lot of fun and festivities at Blue Ridge Farm as the women of Majuba TVET College celebrated Women’s Month in style. This event was held on the last day of August where all ladies of the College gathered to celebrate, love and grow one another. The month of August in South Africa is a month of commemoration of the 20 000 women who staged a march to the Union Buildings in Pretoria to protest the pass laws that effectively prevented the free movement of black South Africans in their own country. The 2018 National Women’s Day celebrations pay tribute to women and their role in the liberation struggle. This year’s celebration coincides with the 100 Years Centenary of struggle icon Tata Nelson Mandela. The day was joyous and colourful with the ladies wearing smart casual and added a flower to the outfit as the invitation requested, which was part of welcoming spring. Mrs. T. Lakhan directed the programme. Fun activities that were included were dancing competition, games, aerobics session, a Q&A session and also there was a yoga and meditation session in between presentations. The spirit of love filled the atmosphere as guest speakers took turns on the podium. Miss. B. Makhoba from the Department of Home Affairs attended and provided tips to ladies on what they need to know before saying “I do”. “Get into marriage with your eyes wide open”, Makhoba advised. The women were given an opportunity to ask questions. Mrs. M. Mdakane on the other hand, tackled more on the issues of women bringing one another down. The ‘Pull her Down syndrome’ Mdakane said this happens because women do not want to see other women outshine them. She also encouraged the ladies to read books written by other African women, especially black women. Mrs. T. Mathambo, an entrepreneur and motivational speaker, gave a motivational talk on the importance of one’s image, which she referred to as a brand. She gave the women rules of dressing. “People judge you on the way you dress, walk and talk”, she said. As the day concluded, the beautiful ladies dined to a scrumptious lunch and networked with each other. 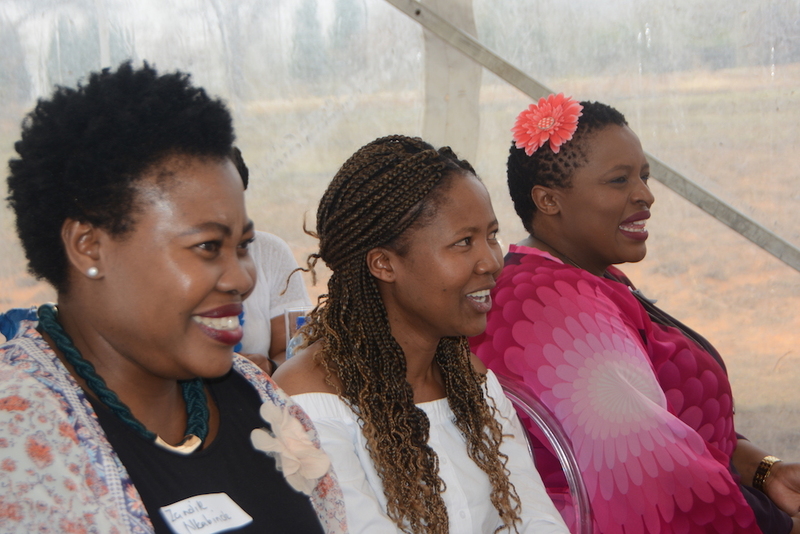 The beautiful women of Majuba TVET College celebrated Women’s Month in style where all of them gathered to celebrate, love and grow one another. Follow Majuba TVET College today!